Did Queen Elizabeth Cast Off Prince Harry and Meghan Markle From Royal Family? 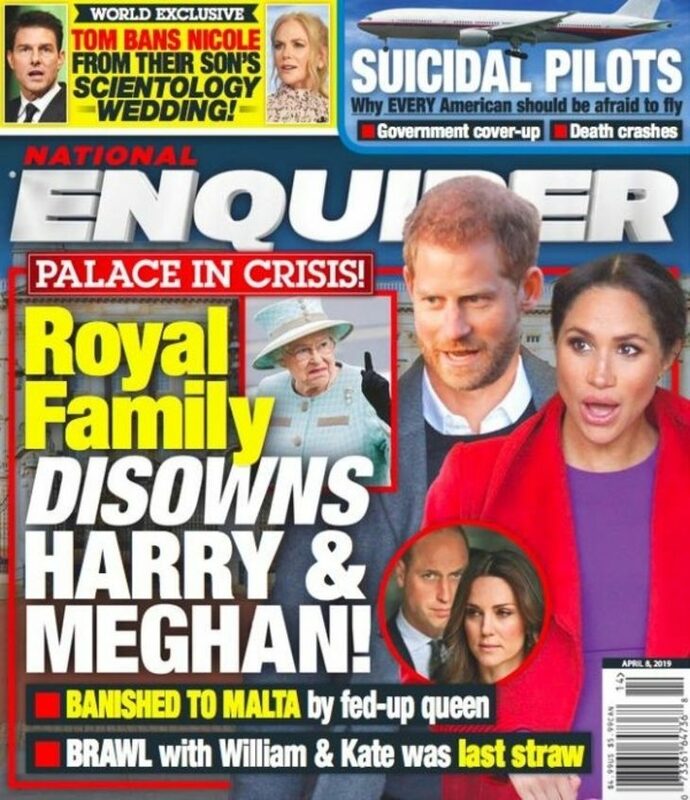 National Enquirer is running a cover story claiming that Queen Elizabeth has disowned Prince Harry and booted him and his wife Meghan Markle form Royal family, cutting all ties. As it turns out, the story is completely bogus and entirely made up. The front page of the British tabloid claims that the Queen is fed up with Prince Harry’s wife and that she has banished Duke and Duchess of Sussex to Malta. Apparently, the last straw was a row Meghan had with Prince William and Kate Middleton recently. But that wasn’t the end. The Queen was so enraged that she “banished” them both to Malta, a small Mediterranean island off the coast of Sicily. None of this is true, of course. 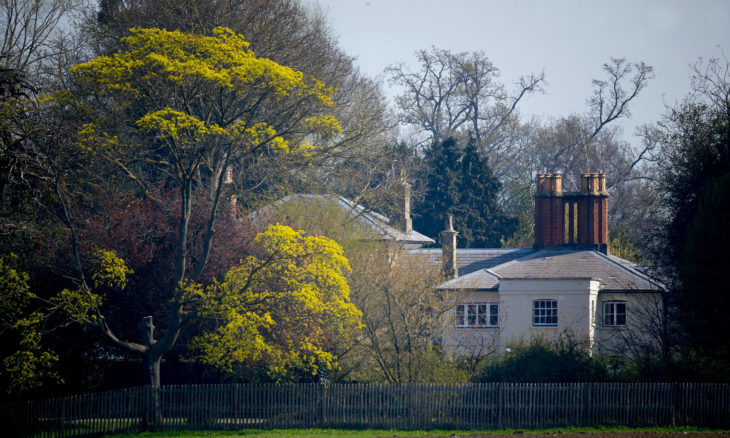 Prince Harry and Meghan are moving, but only to Windsor Castle’s Frogmore Cottage, which was given to them by the Queen, since they are expecting a baby and cottage is larger than their current living quarters. Prince Harry and Prince William are still attending the Netflix premiere of Sir David Attenborough’s new documentary Our Planet at London’s Natural History Museum on April 3. This isn’t the first time National Enquirer tried to make up scandals about the Royal Family. Less than a year ago, they claimed that Prince William and Middleton were crowned king and queen in a “secret succession” plot. It was as false as this one is. Home » Celebs » Did Queen Elizabeth Cast Off Prince Harry and Meghan Markle From Royal Family?